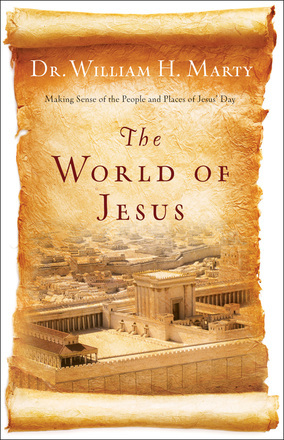 William H. Marty, The World of Jesus: Making Sense of the People and Places of Jesus’ Day (Minneapolis, MN: Bethany House, 2013). The World of Jesus is a popular-level introduction into the history and culture that serves as the context for the world of Jesus and the early church. Marty uses both biblical and extrabiblical sources to highlight the most significant persons, events, and philosophies for the thought world of the first century AD. The author’s approach is basically chronological, starting with the Persian period and ending with the Roman period. Each chapter concludes with helpful discussion questions. There is also a nine-page glossary to round out the study. This work is user-friendly in its brevity, readability, and use of timelines, tables, and various excurses. It is a fairly comprehensive but not exhaustive treatment. My only minor criticism is that each chapter typically begins with a vignette that mixes historical fact with a bit of artistic license (e.g., pp. 19-20, 103-4). This is okay, but a reader might be confused as to where the former ends and the latter begins. But this only barely diminishes the value of this work to introduce lay-readers to the world of Jesus. Thanks to Bethany House for providing the book used in this unbiased review.